Lack of referrals and exposure to Community Withdrawal Management Services (CWMS), clients are not getting the support and monitored detoxification, causing repeat admissions and relapsing. Clients are in crisis in the hospital tying up emergency room resources and not receiving the most effective care. Our service area covers 7,400 square kms forcing a client to travel hundreds of miles usually without transportation causing them to go without services. MacKay Manor is a long-term recovery home for men with alcohol and drug-related problems located in Renfrew, Ontario. Within MacKay Manor, they offer the CWMS. People with acute addictions are high users of the health care system. 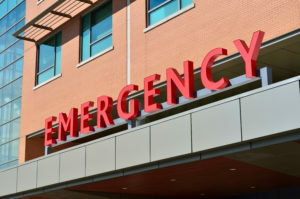 The CWMS at MacKay Manor knows that part of the challenge is that Emergency Rooms (ERs) don’t have the capacity or resources to treat people requiring withdrawal, and don’t know where to refer them. Since 2007, MacKay Manor has been “knocking on ER doors” on behalf of CWMS, but with little success. When the EQIP initiative came along, they say it as a great opportunity to take a more formal QI approach to this long-standing problem. The team worked to uncover the root causes, using the Fishbone Diagram that examined places, providers, people, processes, procedures and policies. They then used a driver diagram to explore even further. The team found that the first two ideas were very effective, while random visits to ERs were completely ineffective. The CWMS team have worked extensively with one of the five ERs in their region, and through that single partnership, the team has seen a notable increase in referrals. The team is now building on the lessons learned from that first ER as they begin working with a second ER. From that one hospital, the team has had nine referrals. It’s a huge step forward over the number of referrals – zero – that they received over the same period last year. The CWMS EQIP project tackles a very significant system challenge: the “emergency room revolving door.” They’ve already made a difference for nine people who wouldn’t have been referred to withdrawal services at the same time last year. And we know this is just the beginning.